I feel like an imposter sometime every week, it has been a year almost now since school began. First several months people are pretty hard on themselves. Slowly gets better, but still hard to shake imposter syndrome when the more you learn the more you realize how much you don't know. However, knowing your ignorance is probably better than thinking you know everything. Keeps you on your toes. I hear this continues for a couple years after working, then start to feel better until you make a mistake and there is a little bit of that "what the hell do I know" feeling that lingers. Best thing to do I guess is learn as much as you can while in school and try to be nice to yourself. Find something that helps you and stick with it because in my experience, that feeling does not go away when you're in school. I even know brand new PAs who felt the same way in their first job after school. I've had similar experiences at work in the ER. One night I was able to straight stick a tiny old lady with no veins perfectly the first time and the next night I missed on a young patient who had legitimate pipes in his arm and my only thought was.....what is wrong with me? I try to make a mental list of things I am good at and remind myself when I feel like a failure. I'm way better in our combination sessions where we do case studies than tests. I'm sure you will make friends once classes start and you start going into diagnostic methods because we have a few classmates with similar past experience and they have some great insight! And keep in mind, you're not supposed to know everything yet. You won't even know everything once you are done with class! Sometimes being aware that you don't know everything gives you a healthy level of humility and prevents your ego from getting in the way. Just do your best to apply yourself and learn and be kind to yourself if you don't do as well as you expect. PA school is hard. Even straight A students struggle and that's completely normal. I don't mean to sound dramatic but have you thought about therapy? If you have the means/resources, I highly recommend it for anyone. My therapist has taught me some techniques to combat that critical "inner voice," that have really helped. Might be best to have these tools before school starts. This. Address this now. Find a therapist that can help you work through your anxiety. You will thank yourself later. I'm about 3.5 years into being a PA and I still have days where I feel like Im not up to the task. It's definitely gotten much better over the years, but it's still there. The point is that this is very common. I am a huge fan of talk therapy. Counseling is about learning how to deal with feelings in a productive way. I see it as brain training. I can't tell you how much it has helped me with issues like anxiety. PA school isn't exactly a stress free environment, so I'd take the opportunity now to start working on yourself. 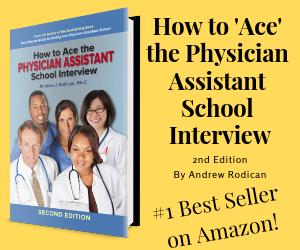 It will be a great help as you move forward into school and your future career.